Do you operate a commercial fleet, rather than a single van? 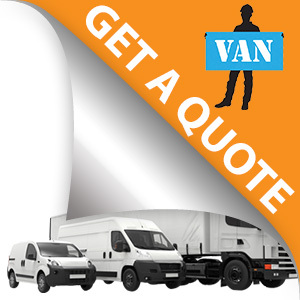 No problem – as Insuremyvan.ie can provide great quality, low cost fleet insurance for all your fleet vehicles too. Our Commercial Insurance Specialists provide a range of great value policies for fleets of all sizes. We’re confident we can use all our experience and expertise to find you the best fleet policy to suit your needs. Traditionally, fleet policies were offered to fleets containing a minimum of five commercial vehicles. However, Insuremyvan.ie has negotiated with leading insurance providers and can offer fleet insurance for fleets of two vehicles or more. This means that businesses with upwards of two vehicles can avail of the same reduced rates and benefits as a traditional fleet policy. If you’ve got a larger fleet, we will also provide you with the best value policy – no matter how many vehicles you have or what combination you have of vehicles such as vans, HGVs, trucks, cars, coaches or buses, we’re positive that our prices won’t be beaten. When you contact us about fleet insurance, you will be assigned an expert Motor Fleet Account Manager. He or she will assess your insurance needs to help you save time and money. Your Account Manager can even call to your business premises in person, if you prefer. That’s a measure of the great customer service we provide. It’s also a measure of how confident we are that you will arrange your insurance with us, when you hear the price and service we can offer you. To arrange your fleet insurance quote today, please just provide your details and an Account Manager will soon be in touch. You could be pleasantly surprised at how easy it is – and at how much you could save on your motor fleet policy. Remember: If you’ve got a fleet – then we can’t be beat!